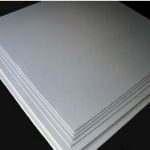 Board Products Archives - Foundry Service & Supplies, Inc.
Foundry Service offers Ceramic Fiber board, blanket, paper, felt, and custom vacuum formed shapes made from the highest purity raw materials available. Ceramic Fiber is an aluminosilicate based refractory fiber that is white and odorless. It resists temperatures as high as 3200º F and extremely light weight with very low thermal conductivity. It provides excellent hot face insulation at high temperatures with excellent thermal shock resistance, even when exposed to direct flame. It also resists corrosive chemicals such as commonly used acids and alkalis. 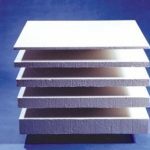 Ceramic fiber products are excellent substitutes for asbestos products in many insulation and sealing applications.